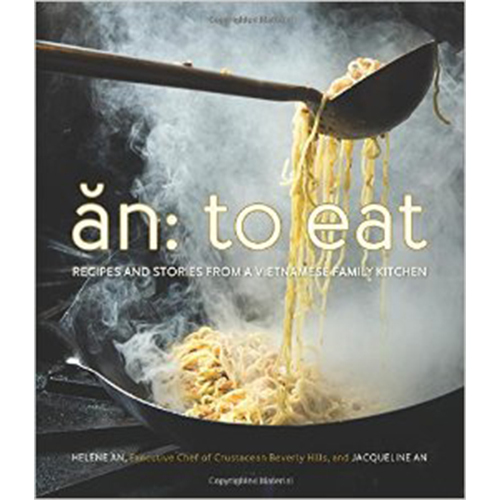 In Vietnamese, “AN” means “TO EAT,” a happy coincidence, since the An family has built an award-winning restaurant empire— including the renowned celebrity favorite Crustacean Beverly Hills—that has been toasted by leading food press, including Bon Appétit, Gourmet, InStyle and the Food Network. Helene An, executive chef and matriarch of the House of An, is hailed as the “mother of fusion” and was inducted into the Smithsonian Institute for her signature style that brings together Vietnamese, French, and California- fresh influences. Now her daughter Jacqueline tells the family story and shares her mother’s delicious and previously “secret” recipes, including “Mama’s” Beef Pho, Drunken Crab, and Oven-Roasted Lemongrass Chicken.